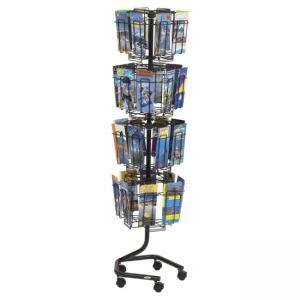 Rotary display features an ideal way to display brochures, pamphlets and other literature. 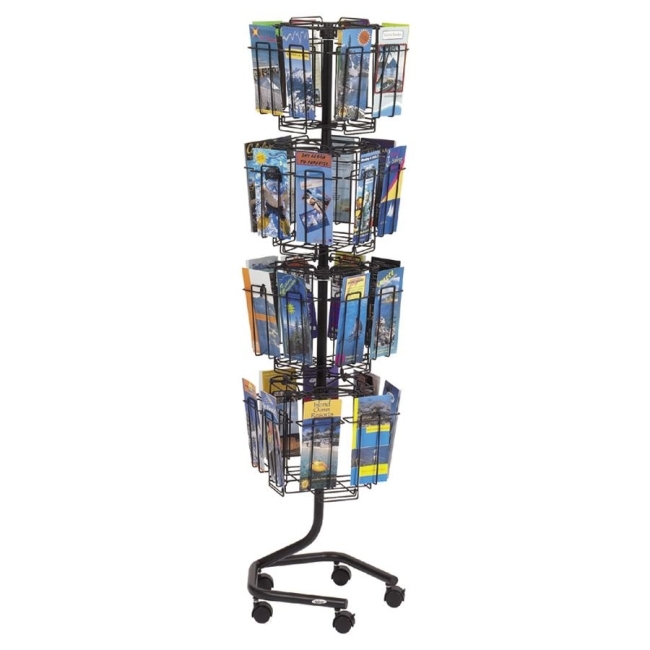 The clean wire look allows for a full-front view of literature. Rotary display includes 32 compartments that measure 4-1/2" wide x 1-3/8" deep to handle large display brochures, pamphlets and other literature. Includes four viewing levels that rotate independently for easy identification and selection. Sets up fast and easy without tools for quick display. Design is ideal for trade shows. Welded wire construction with a charcoal powder-coat finish delivers durability. Base has five dual-wheel casters (two locking).